This post is sponsored by Olay. All thoughts and opinions are my own. When it comes to self-care, I’ll be the first to admit that I could be a lot better at it. Between working multiple jobs, being a mom and a wife, and just trying to maintain my sanity (kidding, sort of), it can be challenging. Sometimes I am on the go all day long, and don’t have a chance to relax until 10pm at night. Definitely not a sustainable practice, but it’s where I am in life right now. 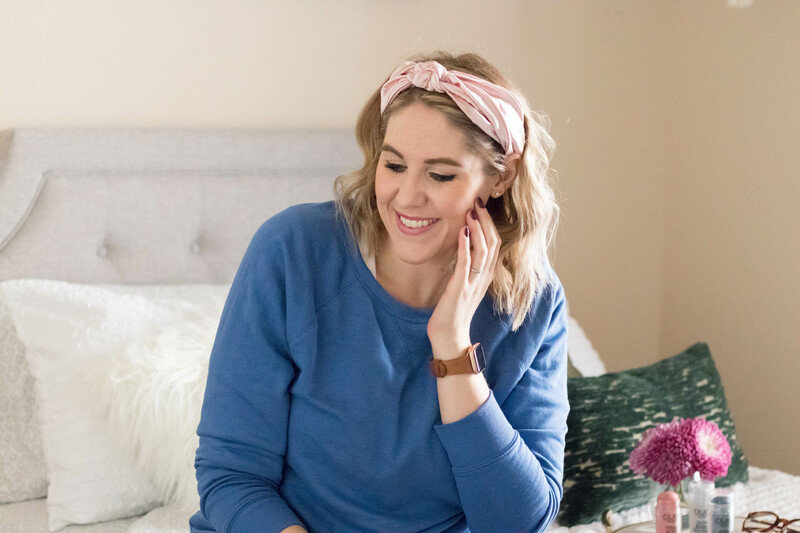 With that in mind, it’s essential for me to come up with easy ways to incorporate self-care into my daily routine that are not particularly time consuming. There seems to be a misconception when it comes to self-care, particularly that it should cost a pretty penny and is an all-or-nothing act. By this I mean to escape all of life’s worries and problems and tune out the world for a while. While that sounds amazing, it’s just not realistic for most people. I don’t know about you, but I don’t have the time to run off to a spa and spend the day. 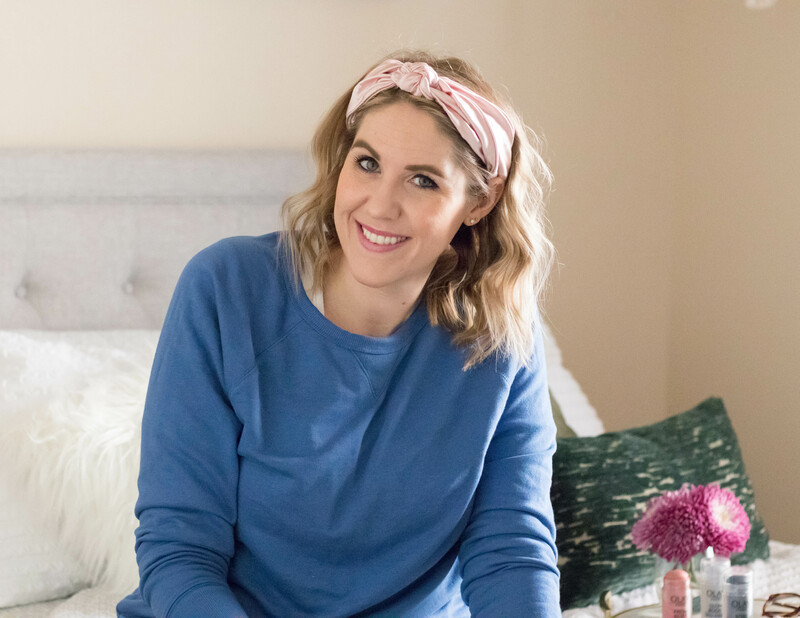 I’m always looking for easy ways to take care of myself when I have an extra 30 minutes here or there, and wanted to share my top 4 today with you. Take a few minutes to just breathe. This one sounds super simple and maybe even a little silly. You’re probably thinking, “I already do that” or “why would this be first on the list?” It’s something I thought I was doing a lot more of until recently. I finally took the plunge and got an Apple watch, and man does it keep me accountable! There is an app called Breathe that helps me slow down and a minute to breathe. This can easily be done without the help of an app, of course, and something that can make a huge difference in our mood! 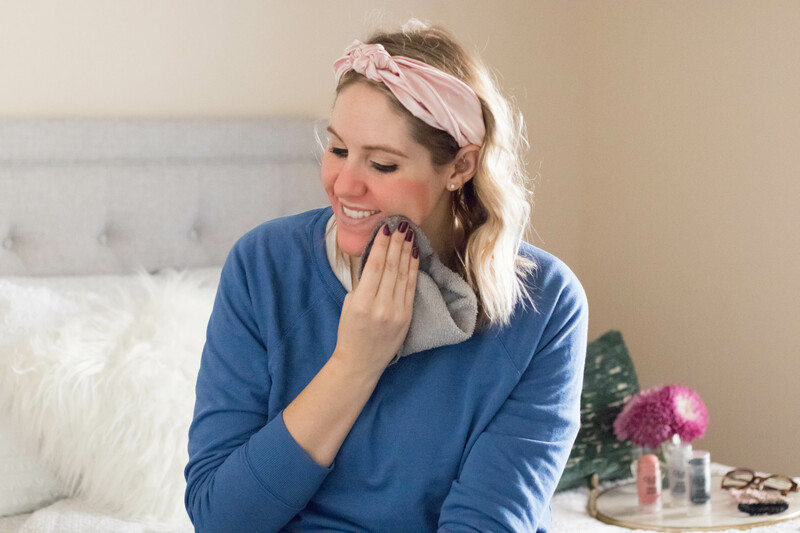 Throw on a face mask! 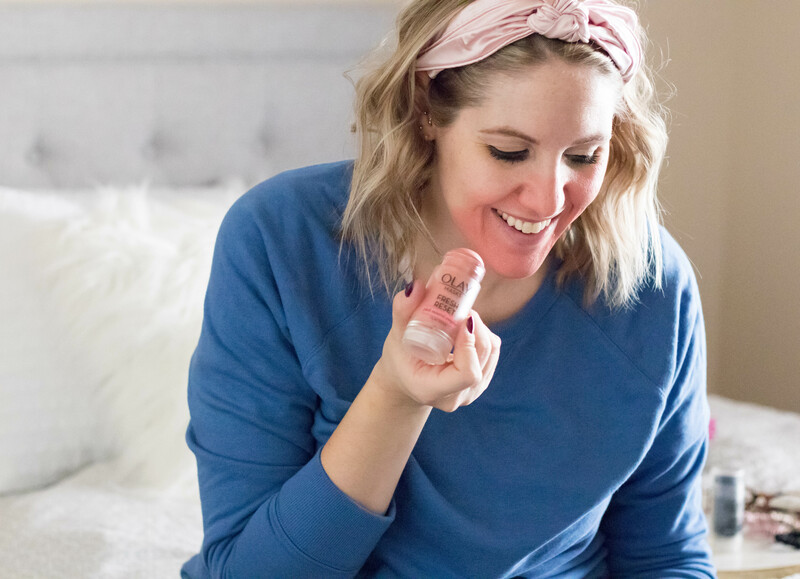 Using a good clay mask is absolutely one of my favorite ways to incorporate self-care into my day. 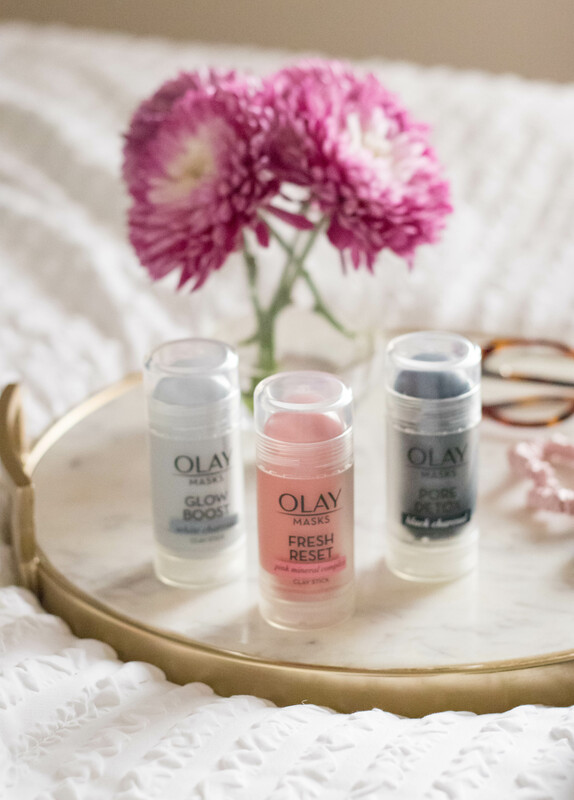 I recently tried the new Olay Fresh Reset Mask and it was love at first swipe! Usually masks can be time consuming because of the mess that is made applying and removing them. 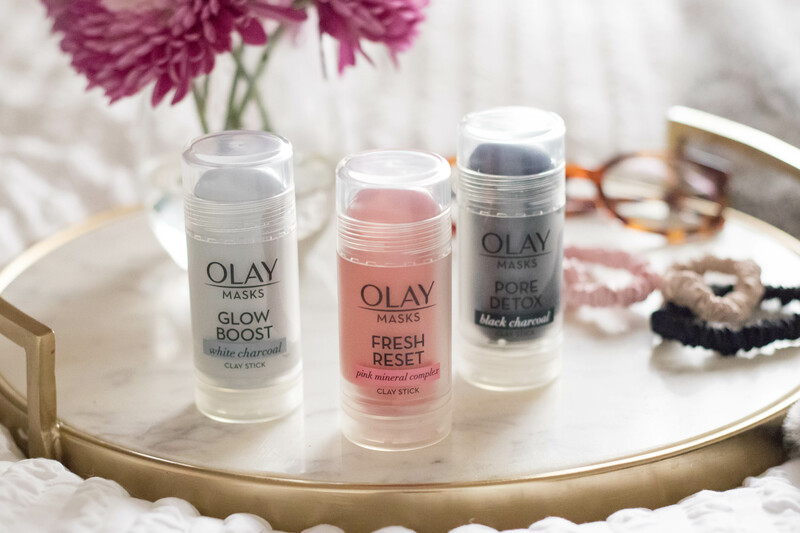 The Olay Clay Stick Masks come in an easy to apply stick that takes just a few minutes to apply. They are formulated with glycerin which helps provide moisture to your skin while removing impurities. This also ensures the mask doesn’t fully dry on the skin, making them easy to remove as well. 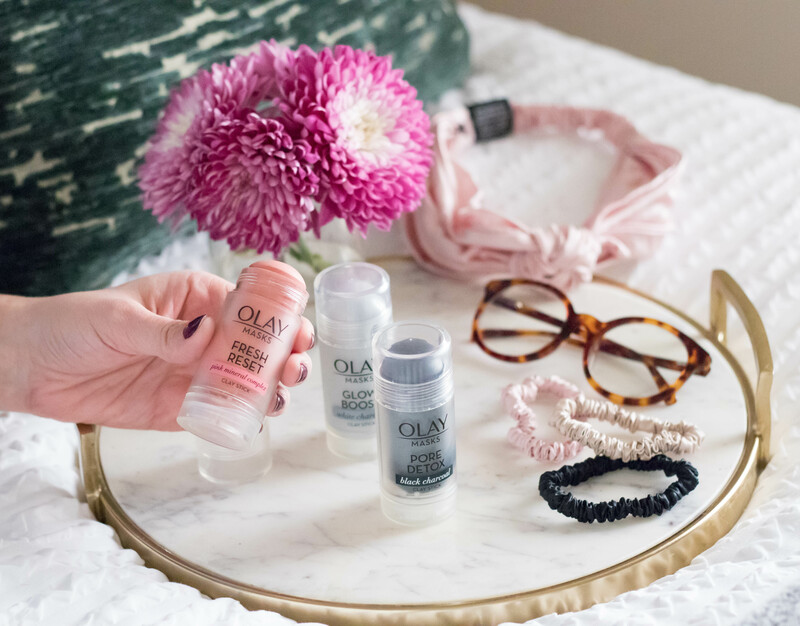 And bonus – the new Olay Fresh Reset Mask is available at Walmart! Read. Read anything – a book, a magazine, an uplifting article on your phone. This is one thing that I’ll admit I do not do enough of. Swapping out social media for a good book is always a good idea. Enjoy your favorite beverage. This could be hot tea, an overpriced coffee, or even just a glass of water with lemon. For me, there’s nothing better than snuggling up in a cozy blanket with a hot cup of coffee, especially while relaxing with a mask on! What are some of your favorite ways to incorporate self-care into your daily routine?